In the world of real estate, an appraiser plays a valuable role. These individuals are responsible for determining the value of a property and verifying its legal description. In return for their expertise in real estate value and real estate laws, they earn a higher-than-average wage. Most property appraisers attend college to get their required education. An appraiser’s job is to determine the estimated value of a piece of real estate, including the land and any buildings on it. This includes verifying the description in public records, inspecting the property to see its condition and unique characteristics, taking photographs of the properties, searching comparable listings of nearby properties, preparing reports on the property value and maintaining data on real estate. Typically an appraiser will work on one property at a time, and they may specialize in a certain type of property, such as residential real estate or commercial real estate. This job requires work both in and out of the office. Real estate appraisers must maintain state certification under federal law. 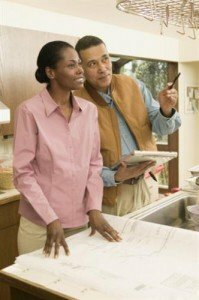 The Federal government has two specific types of certifications it requires, based on the type of property the appraiser will work with. These are Certified Residential Real Property Appraiser and Certified General Real Property Appraiser. Those with the first certificate can appraise any type of residential property, including those with a loan amount over $250,000, or any property with a loan amount less than $250,000. Those with the second certification can appraise any property of any value. Certified Residential Real Property Appraiser requires an associate’s degree, 200 hours of appraiser-specific course work and two years of work experience that includes 2,500 hours. This increases to a bachelor’s degree, 300 hours of training and 2 1/2 years of work experience covering 3,000 hours for the Certified General Real Property Appraiser designation. Most property appraisers attend college to get their required education. However, those that already hold a degree can pursue their training through continuing education, rather than a degree program, if they wish. Certified Residential Real Property Appraisers will complete 21 units of continuing education or attain an associate’s degree. Certified General Real Property Appraisers will attain a bachelor’s degree or 30 units of continuing education. To become a real estate appraiser, you must first earn an associate’s or bachelor’s degree in the field. Then, you will need to take a basic appraisal course and start an apprenticeship program to get the hour necessary to get the certificate from your state. Once you have completed the hours and have your education complete, you will apply for licensure in line with your state’s requirements. The Bureau of Labor Statistics indicates that the median pay of real estate appraisers and assessors was $48,500 in May of 2010. The top 10 percent in the field earned over $90,650, while the lower 10 percent earned less than $25,920. Those working for credit intermediation firms earned the highest wage. The Bureau of Labor Statistics indicates slow job growth in this field. This means that job opportunities will be highly competitive. Those areas with active real estate markets will see the greatest number of real estate appraiser jobs. Overall, the growth rate is expected to be 7 percent from 2010 to 2020, which is significantly lower than 14 percent expected for all occupations in the same time period. If you are interested in pursuing a career as a real estate appraiser, your path will start with the right education.